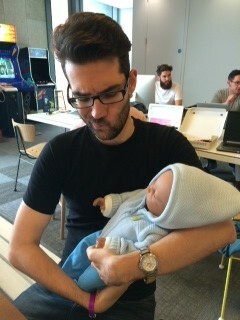 What if you ended up looking after a robot baby during the weekend? It happened to me and my partner a couple of weeks ago. Yes, weird things may happen to anyone, and this time it’s up to me. The start-up company I work for decided to give the people who are not parents yet reborn dolls to look after for a whole weekend. First reaction: NO. FREAKING. WAY. Second reaction (after having ask my CMO if we would get fired if refusing the task – his answer was a subtle “I don’t know”, lol): OK. Maybe I can do it. I’ve never seriously thought of parenting and having a baby until the moment this baby robot activated. My weekend changes ever since. I planned to go here and there in London and I actually I managed to accomplish all my planned stuff, but it was different. Way different. Here’s part of the report I wrote for Wauwaa Biz website about my reborn doll experience. You can read the rest by clicking on the link below. “I deal with products for parents and growing families every day. I know every word and item that mums need to know. And yet I didn’t know what our customers’ lives look like and how they get by with their kids. 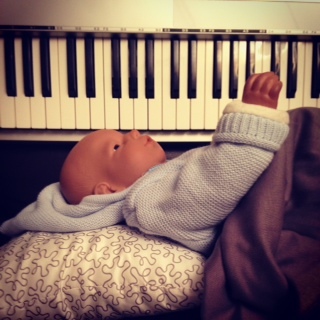 Wauwaa gave all their childless employees a reborn doll, active from Friday at 6PM until Sunday at 10AM. The entire 6.5 lbs of weight on the baby doll is distributed like in a real infant, with its head heavier than the rest of the body. I said once that I was not ready to be a mum, and little has changed since then. So you can imagine my excitement at receiving the reborn doll! Along with the robot baby they gave us a feeding bottle, two nappies and two wristbands. Both nappies and wristbands have a magnet that reacts when it makes contact with the doll’s belly, simulating a parents soothing voice and reassuring the child of their presence. We received soft organic slings from Babylonia to transport the baby outside (and yes, I walked around London with the reborn doll).